I can hardly contain my excitement. I bought a stunning pair of shoes from Ebay the other day and they arrived this morning. Aren’t they gorgeous?? I’m not normally one for bling-y shoes, but I just had to have these. They are Christmas personified and I love them. And they come with a matching bag… be still my beating heart! Anyway, enough about shoe love for now. How are you all? Hope you are all hail and hearty on this December day. Bloody hell it’s cold outside today. Was nearly swept off my feet by strong winds down the park this morning (where I was walking the dogs and wearing my not-at-all-glamorous wellies). Not to worry, winter also means cosy nights in front of the telly! Telly + tea + chocolate biscuit = perfect winter’s night! Talking about the telly, I watched The Christmas Chronicles last night on Netflix. Have you seen it yet? It’s fabulous. I am a total sucker for Christmas themed telly and films, so this was right up my street by just having the word ‘Christmas’ in it. However, it’s a great film. Watch it. Kids love it, adults love it, even my pug Bonya enjoyed a good bark at the reindeer (she loves to watch telly, but it’s usually other dogs and horses she barks at. I suppose she could have thought the reindeer were funny looking horses!). Kurt Russell is superb as the big man himself and the two kids in it are great too. Yup, this is being added to the Christmas collection! 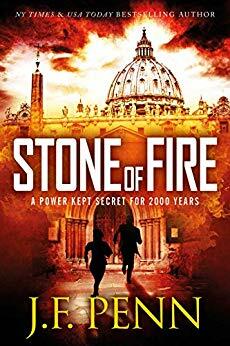 Talking of books (as I like to do a lot), I have just finished J F Penn’s first ARKANE book, Stone of Fire. It’s about a female historian who joins a shadowy organisation to find powerful stones and save her sister and niece. It’s an enjoyable read. I really got into the story and, yes, I liked it. I may even buy the next one. I’m not really into thrillers like this, but I did enjoy the book. I bought it because I’m a fan of Joanna Penn for her The Creative Penn blog and her books on writing and being a writer entrepreneur. 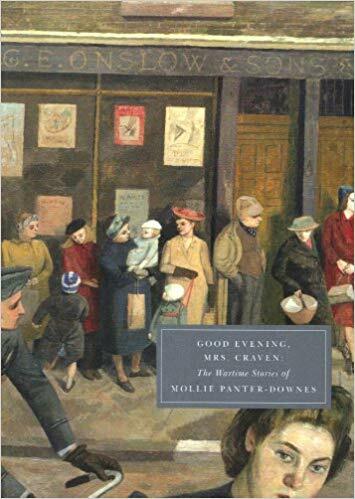 I am now on to Molly Panter Downes’ Good Evening Mrs Craven, which are the war time stories she wrote and had published in the New York Times. They are charming stories, although the ones I’ve read so far all end rather abruptly. However, I am really liking this book. Thanks to Persephone Books for publishing yet another superb forgotten female writer! I’m starting to amass quite a collection of their books, which are mainly reprints of long forgotten masterpieces mainly by women. I’ve read some superb novels from their catalogue. If you are a book fan, take a look. So what else have I been up to lately? Well, on the book news side of things, I have a lovely lady called Jenny Dunbar doing the Dusting Down Alcudia audiobook for me. She has a fab voice and I just know the audiobook is going to be excellent. I’ve also published Dusting Down Alcudia through Ingram Spark which means it will be available for e-readers that are not Kindle and, hopefully, as paperbacks in shops other than Amazon. Fingers crossed! If you’re wanting an e-copy of Dusting Down Alcudia, it’s currently available for 99pence on Amazon now and will stay at this price until the end of January. Other writerly news and I am currently working on sequel to Dusting Down Alcudia which I hope to have out in the spring. Regarding my next publication, Everything She Wants is now available for pre-order and will be out next week! I’d show you the new cover, which is superb by the way, but the first look is given to my newsletter recipients first. I’ll show you the cover next week. 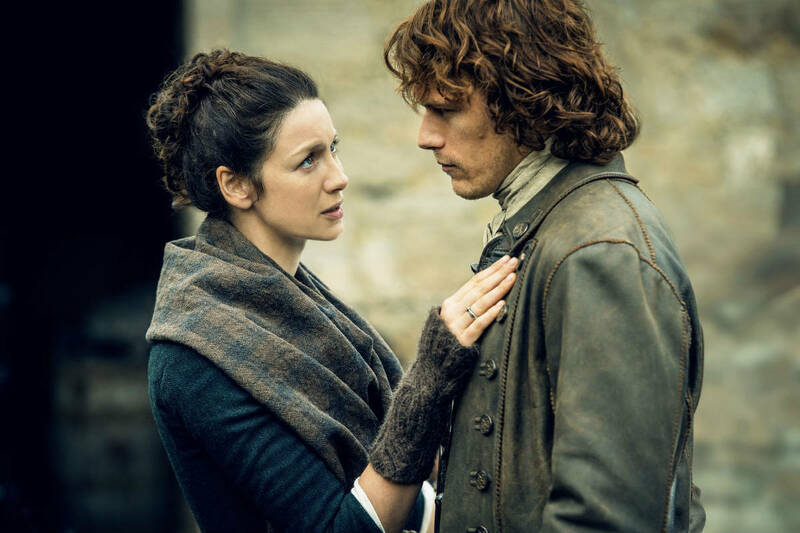 If you would like to receive my newsletter (I do one about once a month), then please sign up at the top right hand of this blog. Right, that’s enough for now. I have things to do around the house. My house is a little messy today as I have been concentrating on my writing business. The old vacuum cleaner and mop will be brought out later this afternoon though. Sigh. I hate housework!